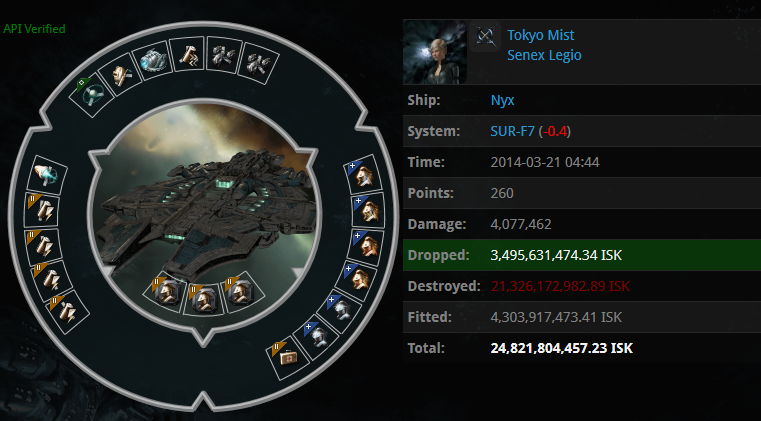 Today has been a fun day for the NCPL bloc killing 2 super-class vessels. Supers are very strong against structures, ideally used against TCU’s, SBU’s, Ihubs and yes even Poco’s. Very early in the morning Tokyo Mist decided that it was time to remove some of these dreaded poco’s out of his system. He logged in and formed a small gang consisting of 20 people, 4 of which in dreads and the rest in subcaps. Hashashin Cartel owner of the pocos got the message that their pocos were under attack and so a scout was sent over to check what was shooting it. They, to their surprise, saw Tokya Mist in his nyx and immediately Hashashin Cartel formed some Hic’s. Knowing that they didn’t have the force to kill the nyx his fleet so a call went out to NCDOT. NCDOT FC’s were interested and immediately formed SlowCats and dreads. Hashashin Cartel went in with hictors, tackling the nyx and a thanatos while the rest of their fleet warped off. 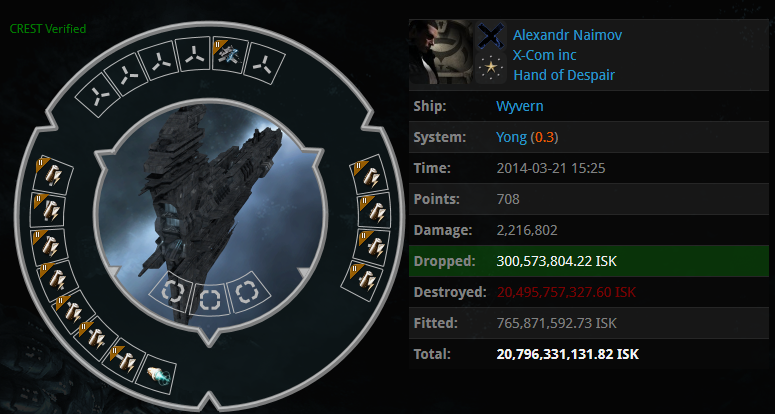 Hashashin Cartel’s cyno joined the NCDOT fleet and went up. NCDOT Jumped in and secured the kill. A PL member was going through lowsec with a character called Marketing Chairman Stalin, who is just a cyno alt. A friend of his contacted him with intel of a wyvern being brought into a system without a pos called Yong. The PL member burned over to the system that the wyvern was allegedly jumping into and just sat around. PL member prepared some ghostriders just in case that the wyvern would actually jump in. Sure enough a cyno went up and the wyvern jumped in. The PL member warped his cyno char over to the cynos location and brought in Ghostriders. Wyvern was tackled and so more carriers were brought in. The wyvern appeared to have been cap fitted so without the help of its huge tank it died quickly. Alexandr Naimov > half price? A big thanks to Marketing Chairman Stalin for giving me the story! Without asking to delete it, is there a means i can erase my own blog site talk about someone else’s blog site? Please help(:. exTLqb This very blog is really educating as well as amusing. I have picked up many helpful tips out of this source. I ad love to return again soon. Thanks a bunch! I’m seeking to discover as much about the on the internet surfing area as I can. Can any individual advise their preferred blogs, twitter manages, or sites that you find most comprehensive? Which ones are most popular? Thanks!.